I haven't worn white on white (or rather cream on white) for ages, if ever now I come to think of it. There's just something about the sun that makes me want to wear lighter make up and dress in lighter colours. That revelation may not come as much of a shock to you (even if I am a bit of a wannabe self proclaimed goth) but I have become to notice that ever since the sun has been making more frequent appearances - I have been drawn to different items of clothing that I wouldn't usually consider. 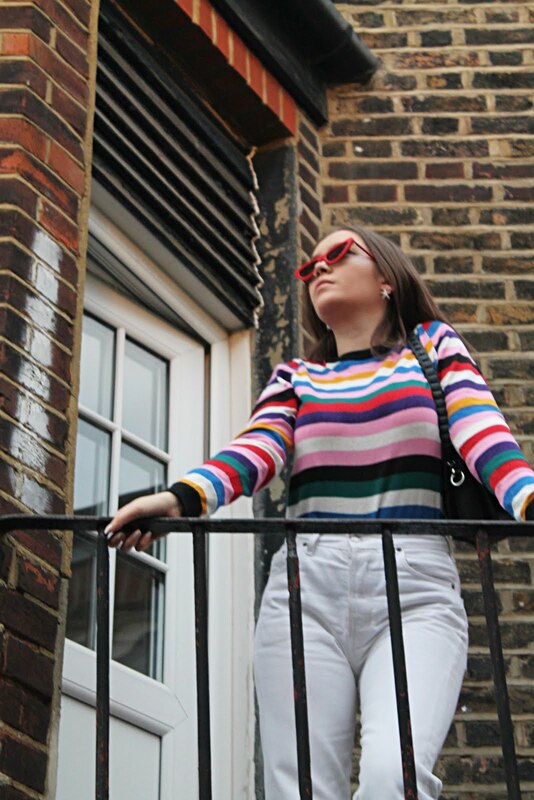 I definitely believe my style changes when the sun comes out - but maybe that's just my way of being a bit more extreme with transitioning into Spring/Summer wear. 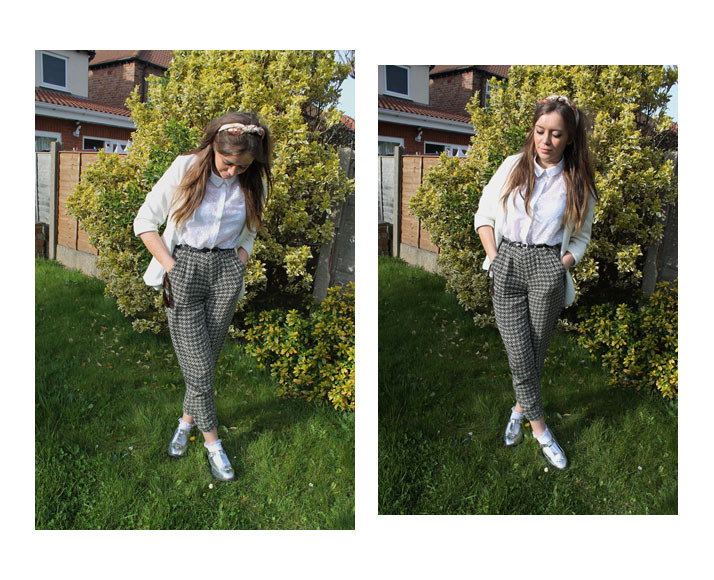 It's been awhile since these Forever 21 patterned trousers made an appearance on my blog and to be honest I kind of forgot I had them (it's a bit concerning how much this happens to me regarding items of clothing). So, when I rediscovered them within the depths of my wardrobe it was like I'd just been shopping and they were new all over again and I have to admit - I kind of like that feeling. 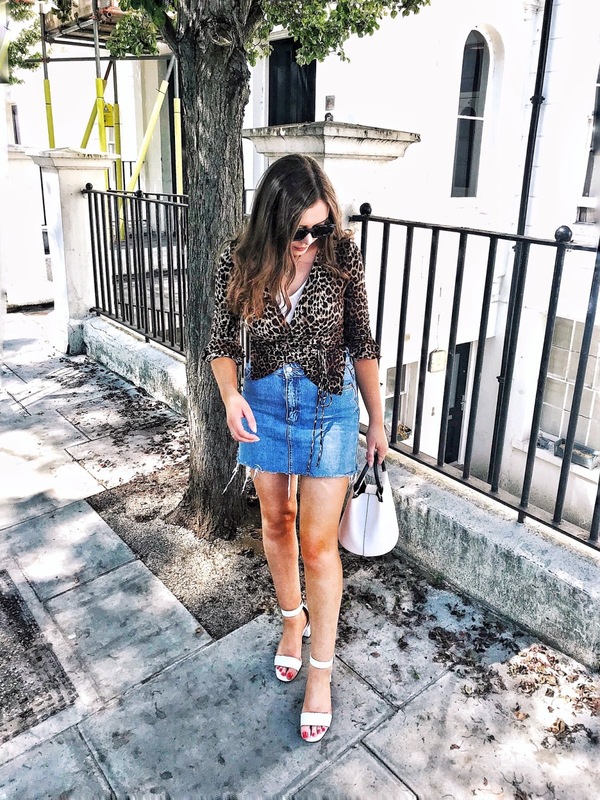 Also, this is the last outfit post that you will see of me with completely brunette hair, if you follow me on twitter you will know that I've gone blonde - it's a bit of a change! But I'll have more on that in future posts. Lovely outfit - I think the white on white works really well. Love how you've put this outfit together hunny, it works well! Love you in white! 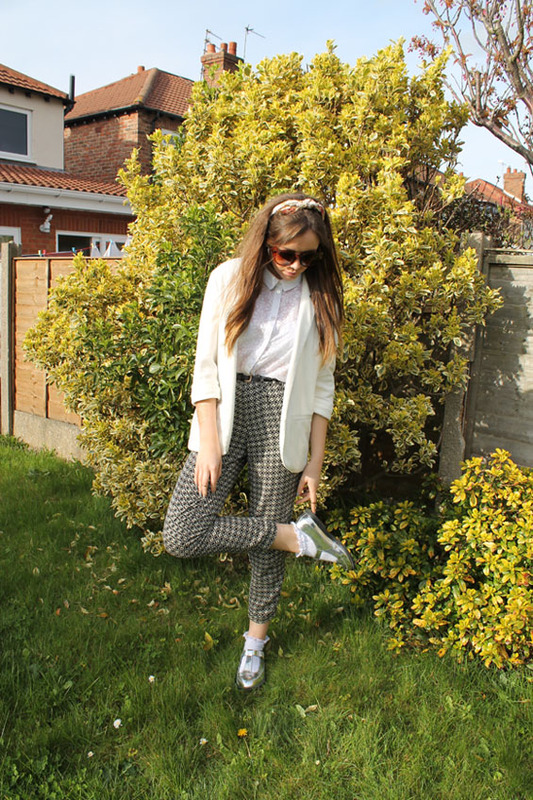 You rock those trousers so well! I love your trousers! Looking forward to seeing your hair blonde!